Pepper adds flavor to almost every food of every nation in the world! Pepper adds flavor to almost every food of every nation in the world. 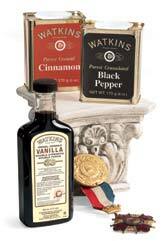 It is used in rubs, spice blends, salad dressings, and peppercorn. Pepper, as with coffee beans and wine grapes, and varieties of peppercorns can have different flavor characteristics that are dependent on climate, soil and growing conditions. Pepper was once more valuable than gold; such was its importance to the world. It is used in virtually every cuisine on the planet, and is the only spice worthy of its own shaker along with salt at the table - don't fill yours with anything but the best. The best pepper comes from buying top-quality Malabar and Lampong peppercorns, then granulating them through a process, which preserves their high essential oil content. When creating quality Pepper, the fillers and stems are filtered out, then they are granulated which creates less friction and preserves their high essential oil content.